Note: Thank You Scientist's Maps of Non-Existent Places was originally reviewed in 2012, when they self-published the album. 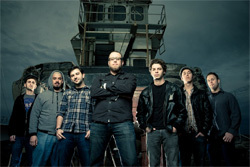 Now, Coheed & Cambria mastermind, Claudio Sanchez, having formed a new label, has discovered this band. He intends Thank You Scientist and this album to be his first release. The album has been wholly remixed and remastered, and sounds amazing. This demands recognition, and repitition of my review. So read on, and then buy this album. If high scores were given for album art alone, New Jersey's Thank You Scientist would score big for their first full-length album, Maps of Non-Existent Places. I love sci-fi art from the classic period, especially when it's packaged in a format of early stereo records. Yet, what lies within? Something I couldn't have expected. Thank You Scientist: abandon ship. 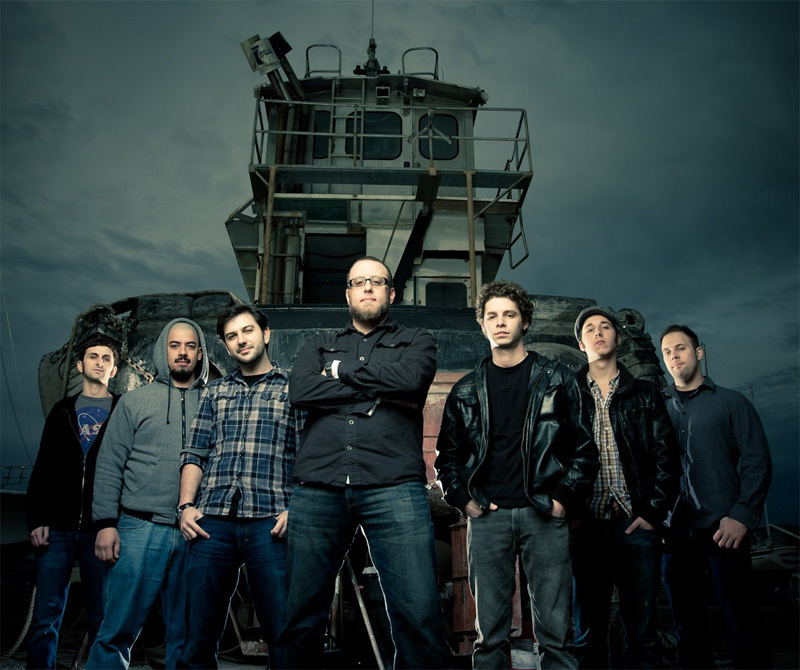 Here's a band of seven fellows, adept in many genres and very talented, playing about twenty different instruments, including cello, saxophone, and trumpet, to create ambitious progressive rock. I say ambitious when other words are also required. The arrangements are thick with complexity, significant mood and time changes, and individual showcase performances. There so much going on in every song, it takes several spins to wrap the arrangements around your head. Actually, when I first listened to MoNEP, I almost considered it too complex, to the point of being cacophonous or discordant. But it's not. It's Frank Zappa meets King Crimson with a taste of the Brecker Brothers, even moments of Steely Dan and Yes. It all makes you wonder what the songwriting process is like, and if they can actually pull this stuff off live. Yet, some of the material, while immensely sophisticated and complex, is surprisingly accessible. Blood on the Radio and Suspicious Waveforms are just two songs that both mesmerize and get into your head with ease. Largely, for me, it's the impressive engagement of horns, woodwinds, and string instruments. Sometimes TYS can get heavy and edgy, like prog metal, as on In the Company of Worms. You've got love that song title, and also A Salesman's Guide to Nonexistence, a song with a bumpy pop feel, and vocalist Salvatore Marrano sounds his closest to Jon Anderson. Fundamentally, Maps of Non-Existent Places is a terrific album of modern progressive rock, sophisticated and innovative, yet also inspired by the classic tradition of the genre. Genius. Strongly recommended. 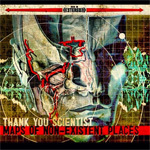 Thank You Scientist's Maps of Non-Existent Places is a terrific album of modern progressive rock, sophisticated and innovative, yet also inspired by the classic tradition of the genre.